@azza_act for me global shutter first and foremost is what I want on my next $1k range camera. Black Magic is the horse to beat for the moment. All signs point to Panasonic releasing 8K before announced date, but the global shutter and global shutter organic sensor (internal ND's, Low light) are the question mark. It is clear it will be available by the 2020 games, but whether it is part of the up coming 8K package or if panasonic will release a watered down 8K first is the big mystery. If there are no signs pointing to global shutter from panasonic by the time the new BlackMagic Pocket camera's start shipping, I may very well go Black. If read out speed is fast enough then global shutter or not doesn't matter for most buyers. 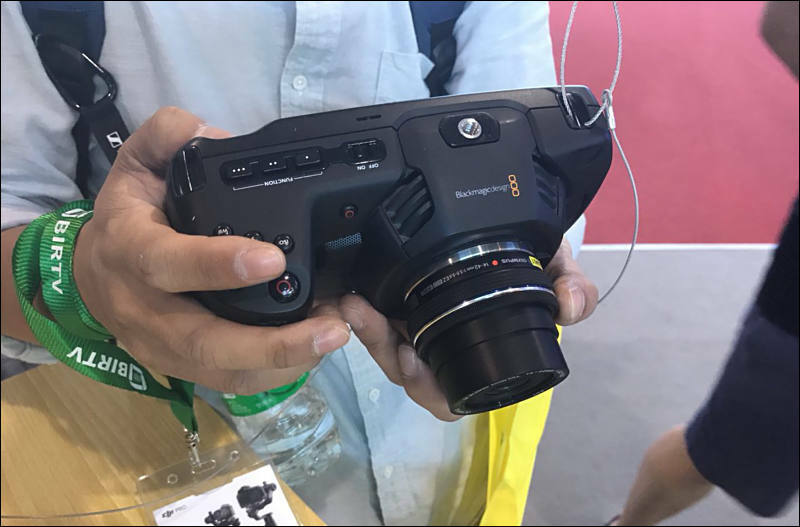 Guy went to a Blackmagic Design event and they had the BMPCC4K prototype. Was able to ask them a few new questions I haven't heard answered before. Look at the size of that thing! "Pocket" is such a misnomer! 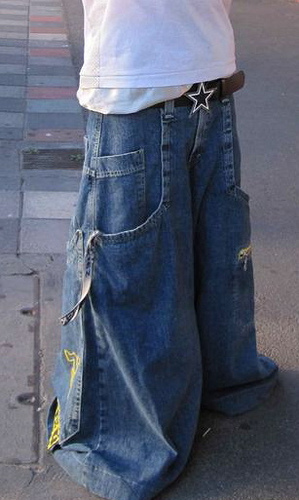 I've got my JNCO jeans ready for it! I saw it at SIGGRAPH, it looks a lot better than in photos. As they always say, the camera always makes you look heavier :) Maybe they should change the name to Backpack Cinema Camera. @jleo That'd be perfect. The BMBPCC4K! It rolls right off the tongue. Also I think it looks pretty cool in the pictures so if it looks even better in person that's great. Pretty disappointed that we haven't seen some useful ftg out of it yet. Probably because the production models have not been finalized yet. There is no weight spec either, because the production model is using different materials than the prototype. Looks like some sample footage is finally here! Theoretically we can deduce from this that it is a functioning camera. Yeah the Dr seems pretty good. Would have been nice to have some faces in there. I don't shoot Botany videos for a living. For me it's a little overexposed on very bright parts but it's too early for conclusions about DR. Otherwise it makes you want to try it. The price is so reasonable that I probably will buy it even if it does not work. B&H has just changed doa from Sept. 3th to Oct. 5th... Sad! Whoa, Black Magic isn't meeting their original estimated shipping date on a camera? Shocking! Hopefully we will have a firm shipping date announced at IBC. I also hope that Panasonic and Atomos will announce Pro Rez RAW for the GH5 and compatibility with the Ninja V to allow people to have all the information on the table before making a choice of the similar sensors that are used in both the BM Pocket 4k and the GH5s.